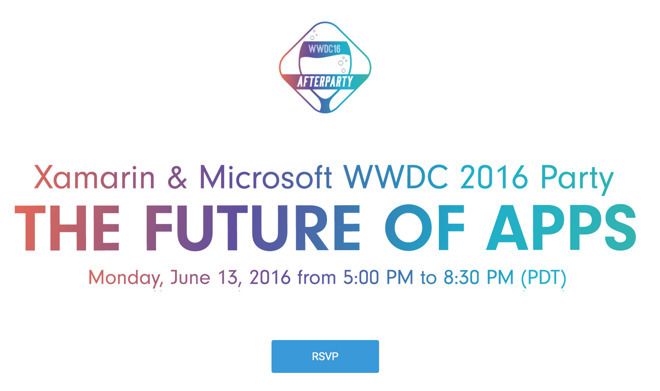 Microsoft estimates WWDC 2016's opening day will conclude at about 5 p.m. Pacific next Monday, June 13, at which point the Windows maker will kick off its own afterparty, taking place at Twitter headquarters a block from the Bill Graham Civic Auditorium in San Francisco. To appeal to iOS developers, Microsoft has planned free food and drinks, as well as prizes such as an Apple Watch Sport or Xbox One console. All developers are welcome, even if they are not attending WWDC. Engineers from Microsoft-owned Xamarin will offer one-on-one sessions with developers, offering guidance on using the Xamarin Test Cloud to guarantee the consistency of apps across platforms. Microsoft recently opened up the SDK for Xamarin, an iOS and Android-compatible test tool that was once priced at $999 for business users. To Joe Silverman, owner of New York Computer Help, that was a "surprising" move from the Redmond, Wash., software giant. "If they can create lots of code, games, and programs to be sold, everyone wins in the end, including, dare I say it, Microsoft," Silverman told AppleInsider on Tuesday. In promoting the event, Microsoft said that apps such as Word, Excel, PowerPoint and OneDrive are "setting the gold standard on iOS." The company said next week's event will showcase to developers how Microsoft is "reinventing itself on iOS." To date, Microsoft has developed and published nearly 80 iOS apps, ranging from Word and One Drive to games based on its Halo and Age of Empires franchises. While the company's own Windows Phone platform has struggled, its call to iOS developers could help push not only adoption of the Xamarin development tools, but also integration with Microsoft's software and services ecosystem.